Eddy Portnoy. 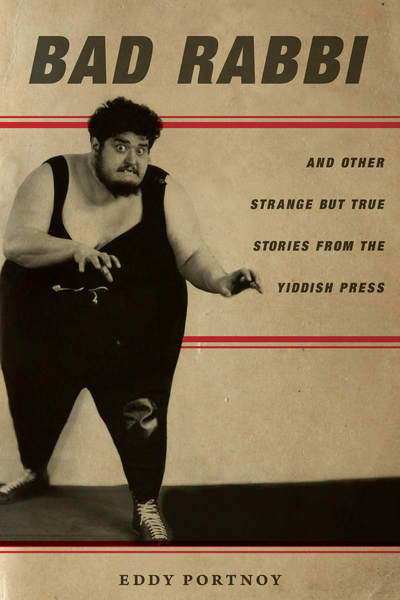 Bad Rabbi: And Other Strange But True Stories from the Yiddish Press. (Stanford, CA: Stanford University Press, 2017), 280 pages, $19.95. A nineteenth-century Jewish doctor performing abortions in a back-alley clinic. A Jewish wrestler who tipped the scales at well over 600 pounds. A court official who spent his days mediating dramatic, often explosive, marital disputes in Warsaw’s Rabbinical courts. These are the people that readers are introduced to in Bad Rabbi, Eddy Portnoy’s exploration of the “seamy underbelly of urban life” as portrayed in the pages of the Yiddish press (21). In his introduction, Portnoy highlights the fact that a century ago, Yiddish culture spanned the full range of human activity, from the most highbrow literature to the most lowbrow pursuits: “Bums begged in Yiddish and hookers turned tricks in Yiddish. Parents beat their children in Yiddish. Farmers planted crops in Yiddish and lovers made love in Yiddish. Criminals stole in Yiddish and scholars researched in Yiddish” (2). However, Portnoy asserts that many of the dodgier elements of this Yiddish mass culture have disappeared in historical retellings. 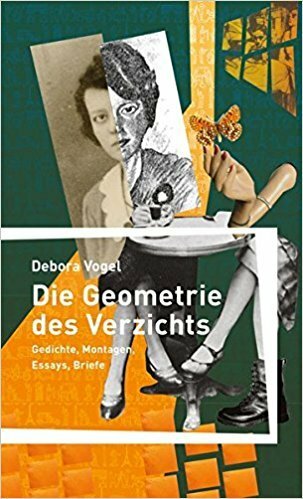 While discussions of the Jewish past aimed at a general, non-academic audience have tended to be colored by a sense of profound nostalgia, more scholarly works have focused almost exclusively on elite and highbrow culture. In his book, Portnoy attempts to correct these imbalances by focusing on those who have largely been written out of Jewish history. Although Portnoy asserts that these stories are no more exemplary of the entirety of Yiddish-language Jewish experience than their highbrow counterparts, he argues that a comprehensive history of Jewish life in the era of mass migration is not complete without a look at the lives of these sorts of individuals. Nor, for that matter, is our understanding of Yiddish-language culture complete without the gritty, sensational news coverage in the Yiddish press that told their stories. Each of Portnoy’s chapters delves into one of these forgotten accounts of madmen, tricksters, beauty queens, or Jews brawling in the streets on Yom Kippur. The book consists of eighteen chapters, which are organized mainly chronologically and geographically, with the first chapters focusing more on events in the United States and later chapters focusing more on events in Poland, though some chapters move back and forth between New York and Warsaw. By focusing on stories that take place in these two locations, Portnoy highlights the similarities and connections between the Jewish urban experience in the United States and Eastern Europe at the turn of the twentieth century. He also underscores the interconnections between newspapers in these two regions, as the Yiddish press in the United States greatly influenced the development of the Yiddish press in Eastern Europe, which was slower to mature because of state censorship in Imperial Russia, among other obstacles. While the individual chapters of Bad Rabbi are meant to stand on their own as glimpses into some weird, dark, or exciting corner of Jewish urban life, in his introduction, Portnoy situates these stories within the framework of the larger history of the Yiddish press in America and Europe. As he recounts, the Yiddish press was both an outgrowth of the period of Jewish mass migration to large urban centers like New York and Warsaw and deeply involved in shaping these urban experiences. New arrivals at the end of the nineteenth century were often unaccustomed to the experience of reading daily newspapers, but quickly learned to look to them for guidance on how to navigate city life and how to understand both local and global events. Beyond this pedagogical purpose, these newspapers also served as a source of entertainment for their readers, and journalists and editors combed the city for stories of crime, disaster, or love gone awry, sensationalized or presented as fact, that they would sensationally recount in order to amuse regular readers and draw in new ones. This tension between the entertainment and informational function of the Yiddish press is important for understanding the role the press played in modern Jewish life, but it is also important for understanding Portnoy’s book. Portnoy’s introduction describes the chapters that follow both as a window into the seedier or lower brow elements of Yiddish culture and as a window into the important role of the Yiddish press in shaping the modern Jewish experience. However, Bad Rabbi is not a traditional academic monograph. Instead, like the Yiddish press at the turn of the twentieth century, Bad Rabbi, in trying to appeal to a wide variety of readers and perspectives, can in many ways be considered an exercise in Yiddish mass culture in and of itself (albeit in translation). Portnoy often adopts the tone of the reportage in the Yiddish press within his own writing. His style is punchy, colorful, and fun to read, allowing his descriptions of news stories from the Yiddish press to intermingle seamlessly with his translations of the original articles that capture their vibrant, engrossing tone. But aside from his introduction, Portnoy often provides no critical apparatus for how to digest these diverse narratives within individual chapters. Therefore, as was the case with readers of the original articles in the Yiddish press, readers of Portnoy’s book are invited to bring their own perspectives to their reading experience. This allows readers to see the stories in this book in vastly different ways: they can be read as neutral texts that provide relatively reliable windows into the social history of Jews who lived their lives on the margins; alternately, one can consider them sensationalized fictions meant for entertainment without any reliable ethnographic value; or, one can examine them as literary objects in and of themselves, as examples of a variety of genres of human interest reporting at the turn of the twentieth century; or all three at once. To a certain extent, this format allows readers of Bad Rabbi to recreate the experience of reading the Yiddish press at the height of its powers; but at the same time, it makes it difficult to figure out how to incorporate these fascinating stories into our conception of modern Jewish history in the US and Eastern Europe. Given that Portnoy sets up his book as an exercise in telling new narratives of “what happened to Eastern European Jews as they tried to make their ways into new urban and industrial environments,” it would have been useful to provide some context to help readers understand the historical accuracy of individual stories or to explore issues of genre and style within individual chapters (19). What role did these articles serve within these newspapers? What other stories surrounded them? How did readers absorb these stories at the time—as accurate portrayals of the seedy side of Jewish urban life, as pure entertainment, or as something in between? What stereotypes—especially gendered stereotypes—were used in these news stories that might require unpacking for audiences today? And, perhaps most importantly, what can each individual story tell us about not just the Jewish experience at the turn of the century but the role the Yiddish press played in it? Highlighting such questions would have been useful, for example, in Portnoy’s first two chapters. 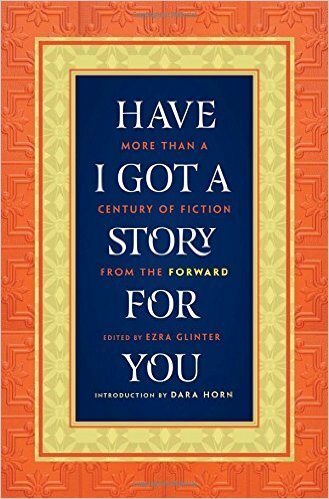 Portnoy’s introduction situates these stories within the context of the Yiddish press, as does the book’s subtitle, Other Strange but True Stories from the Yiddish Press. Yet his first two chapters actually revolve around stories that also received significant coverage in the American English-language press: the story of a Jewish abortionist who killed one of his patients and the much-covered murder trial of Pesach Rubenstein, who was convicted of murdering his cousin/lover in 1875. These chapters both reveal the extent to which the American English-language press was a source of inspiration for the creation of Yiddish-language newspapers in America. This was both because the Yiddish press, in part, grew out of an attempt to counteract the negative stereotypes against Jews that such news items generated, as well as because these sorts of sensational stories in English inspired the equally sensational tone that the Yiddish press would later adopt in much of its news reporting. It is essential to analyze the push and pull between the English and Yiddish press in order to better understand the very logic of Jewish culture in the early twentieth century. 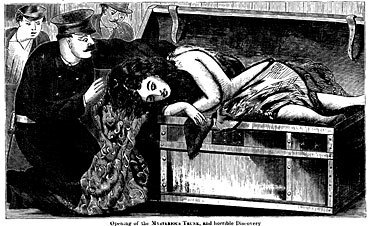 A drawing of Alice Augusta Bowlsby, an abortion patient whose decomposing body was found in a trunk in the Hudson River Train depot, from an 1871 pamphlet in English called “The Great ‘Trunk Mystery’ of New York City”, via Tablet Magazine. Though each chapter of Bad Rabbi uses one or more newspaper stories as a jumping off point, different chapters approach the material in different ways. This means that certain chapters in the book are more successful in grappling with the types of questions posed above than others. Some chapters include extensive translations of stories from the Yiddish press, giving readers a taste of how these stories first appeared in print. These chapters often include much more contextual information on the relationship between the stories Portnoy unearths and the newspapers in which he found them. For example, the last chapter of the book includes over two dozen translations of stories from the crime blotters of different Yiddish newspapers in Warsaw, as well as a discussion of how reporters sourced these stories, why newspapers were so eager to print them, and why readers were so eager to read them. In contrast, other chapters use the Yiddish press more as source material than as the center of attention. For example, Chapter 13 focuses on a story of love gone very, very wrong in interwar Warsaw that was covered extensively in the Yiddish press. The love story itself takes center stage in this chapter, with less of a focus on how this story was covered in the Yiddish press, what kind of sexual politics was being promoted, or how newspaper coverage of the events may have shaped public reaction to events as they unfolded. The differences between individual chapters reflect, in part, the fact that many of them were first published as individual articles. It also highlights the variety of ways scholars can use the Yiddish press in their work—as a primary source for a historical account, as entertaining anecdote, or as itself the focus of literary analysis. In this way, Bad Rabbi can also be read as a call to expand, or question, the boundaries of Yiddish literary studies in terms of genre, audience, and language. Bad Rabbi does not only present historical figures and collectivities who are often at the margins of scholarship, but also types of literature that are often equally marginal. In their original context, on the pages of the Yiddish press, these sorts of stories existed alongside, underneath, or across from works of highbrow literature, literary criticism, politically-engaged editorials, and romantic shund literature. By focusing on a variety of types of newspaper reporting genres—crime reports, human interest stories, and summaries of divorce cases—Portnoy highlights the ways in which the highbrow and the lowbrow co-existed on the pages of the Yiddish press, and invites us to consider how an attention to these types of writing might change or augment our understanding of Yiddish culture. How, for example, would it change our understanding of I.J. Singer’s writings if we were to more fully incorporate his crime reports and other sensational pursuits, such as those described in Portnoy’s eleventh chapter? Have certain genres and certain types of writing been privileged within the field of Yiddish Studies in the same way that history has over-emphasized certain historical actors? Similarly, as a work of scholarship aimed at attracting a non-scholarly audience, Portnoy’s book asks us to think about what types of audiences have been privileged within the field of Yiddish Studies. How have the narratives about Yiddish culture that have been aimed at academic audiences differed from those aimed at a more public audience? Is there a way to bridge the gap between these pools of readers? These are not easy questions to answer, and Portnoy at times hesitates to offer his own answers; but the stories narrated in Bad Rabbi certainly suggest the importance of doing so. 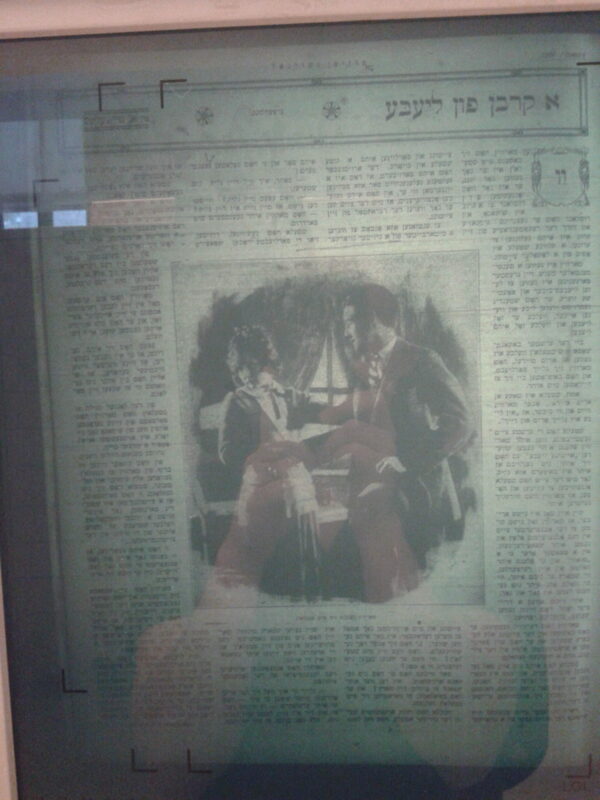 Blurry image of a novel serialized in Froyen Zshurnal, as seen in a microfilm reader, courtesy of Jessica Kirzane. Last year, as part of my dissertation research, I spent months on end sitting in front of a microfilm machine scrolling through page after page of turn-of-the-twentieth-century American Yiddish newspapers. Like Portnoy, I was struck by the countless stories about the seedier side of life on the Lower East Side, and how these newspapers offered a very different perspective on Jewish history than the one often offered in nostalgic portrayals and in historical scholarship. This kind of perspective should not be limited to the specialized scholar willing to ruin their eyesight, but should be more widely available as a challenge to accepted and canonized narratives of modern Yiddish culture. By bringing these stories to light, and narrating them in such a vibrant way, Portnoy highlights the importance of illuminating an element of Yiddish mass culture that served an incredibly important function a century ago, and has been largely forgotten today. Brinn, Ayelet. 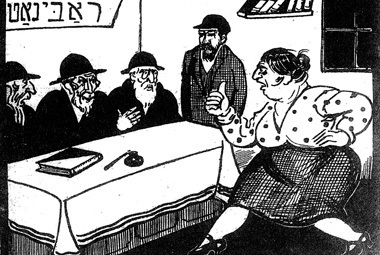 “Yiddish Mass Culture in History and Practice: Eddy Portnoy's Bad Rabbi: And Other Strange But True Stories of the Yiddish Press.” In geveb, April 2018: https://ingeveb.org/articles/bad-rabbi-and-other-strange-but-true-stories-of-the-yiddish-press. Brinn, Ayelet. “Yiddish Mass Culture in History and Practice: Eddy Portnoy's Bad Rabbi: And Other Strange But True Stories of the Yiddish Press.” In geveb (April 2018): Accessed Apr 21, 2019. 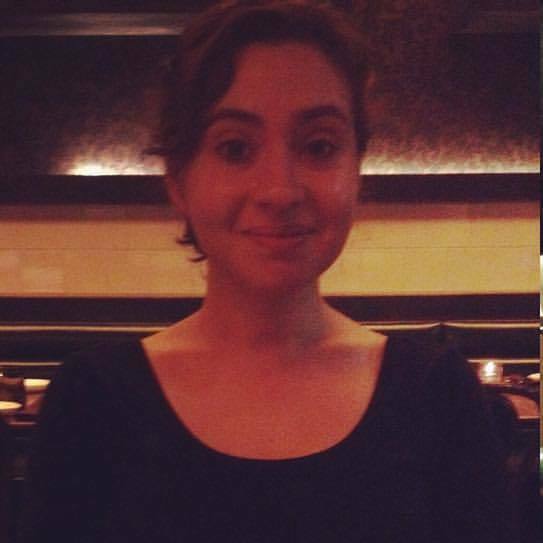 Ayelet Brinn is a PhD Candidate in History at the University of Pennsylvania, where she studies American Jewish history.